Honda Motorcycle and Scooter India have commenced the bookings for the 2019 CBR650R and is expected to launch it very soon. The middleweight sports tourer, which was unveiled at the 2019 EICMA motorcycle show in Milan, is the successor to the CBR650F. While we wait for an official launch announcement from the company, we have come across on-board footage of the motorcycle reaching its top speed. The video was captured in Thailand. Potential buyers can book the Honda CBR650R for a token amount of INR 15,000. The motorcycle would be available at Honda's Wing World dealerships across 22 Indian cities. It would be imported into the country via the CKD route, allowing the company to price it competitively, under INR 8 lakh (ex-showroom). Deliveries are likely to commence from April 2019. The 2019 Honda CBR650R packs 5 per cent more power than its predecessor. The 649 cc in-line four-cylinder, 16-valve, DOHC engine is tuned to deliver 95 hp of max power at 12,000 rpm (1,000 rpm higher) and a peak torque 64 Nm at 8,500 rpm. The motor is paired with a six-speed gearbox, and features assist/slipper clutch as standard. Stopping power comes from the 310 mm dual hydraulic disc with 4 piston callipers and sintered metal pads at the front and a 240 mm single hydraulic disc with single-piston calliper and resin mould pads at the rear. The brake callipers have been sourced from Nissin. Safety net includes dual-channel ABS and Honda Selectable Torque Control (HSTC) to manage rear wheel traction. A revised styling that draws visual cues from the litre-class CBR1000RR Fireblade complements the new and powerful motor. Thus, unlike the CBR650F, the CBR650R comes with twin-pod LED headlights and a revised front fascia. The tail light and the blinkers too are LED units. The side fairing, fuel tank and tail section have also received a visual overhaul. The motorcycle also features a full-digital LCD instrument cluster. A pair of 41 mm upside-down Showa forks and an adjustable rear mono-shock with 43.5 mm wheel-travel performs shock absorption tasks. Revised ergonomics are sportier than the CBR650F. The Honda CBR650R has low-set clip-on handlebars, and rear-set footpegs that are 6 mm higher and 3 mm rearward. Bookings for the 2019 Honda CBR650R have commenced in India and the motorcycle, as communicated by Honda in its announcement, would arrive below INR 8 lakh (ex-showroom) price tag. 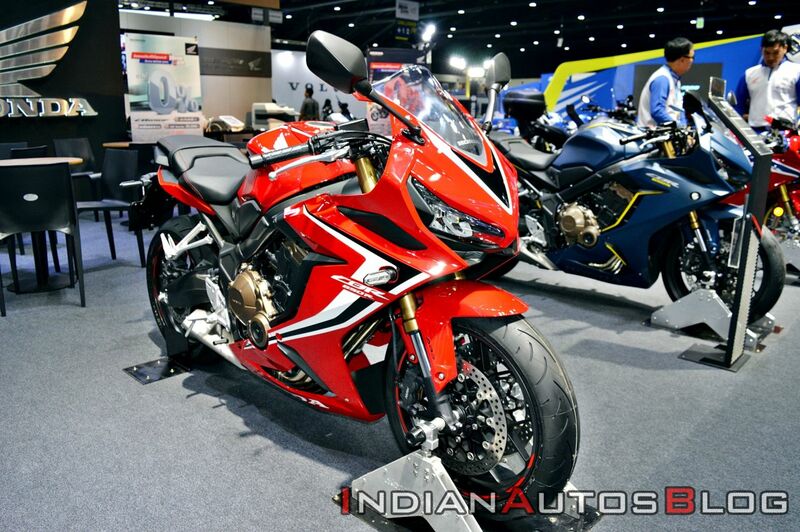 The new CBR650R will be a direct rival to the Kawasaki Ninja 650 in the domestic market. Disclaimer: Always adhere to the speed limit on the road and wear proper gear while riding the motorcycle. IAB does not support speeding on public roads.